The lovely country of Australia has undeniably given us many wonderful things – the Sydney Opera House, the boomerang and the ever-gorgeous movie star Hugh Jackman. But it has much more to boast than just sand, sun, waves and fabulous accents; the land down under is also the home of Double Dan Horsemanship, the new sensation in natural horsemanship that is taking the world by storm. 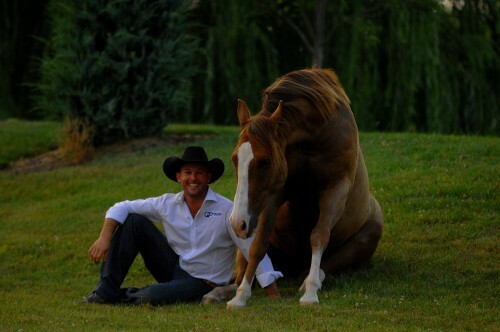 Although they started out as entertainment, taking their performing horses on the road all across Australia (and even to the TV show Australia’s Got Talent,) Dan and Dan are all about the horsemanship. “We want to make the public aware of the possibilities with horses,” said James. And it’s no wonder, considering his start in the equestrian world. Dan’s first time in the saddle was at the ripe old age of 6 weeks, on his parents’ small cattle farm in Queensland, Australia. When he was 10, he got his first pony, but he already had many years of experience under his belt – riding the family’s milk goat! “I’ve always had a belief, a dream, seeing myself having a life that revolved around horses,” James said. “We love being across here,” continued James, referring to Lexington. 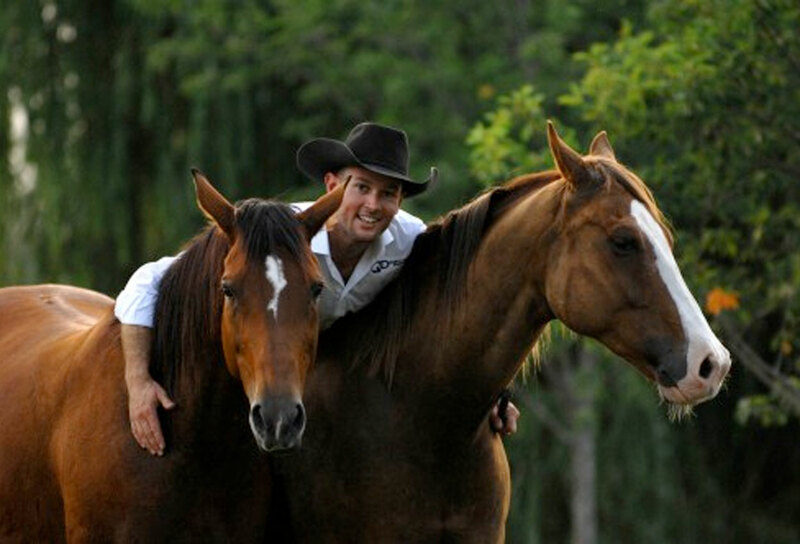 “Everywhere you go is about the horse.” Dan Steers, who is currently still in Australia, will be joining James in the states for a number of clinics and events and will eventually be making the jump to living in America along with his wife, veterinarian Pia Steers. But this doesn’t mean that Dan and Dan will forget their roots down under. “We have a responsibility to Australia. They’ve made such a big impact on helping us get where we’re at,” said James. “We’ve never had a small dream [about Double Dan. ]” Double Dan was even invited to perform as part of the opening ceremonies for the World Equestrian Games 2010 and was one of the featured clinicians there.